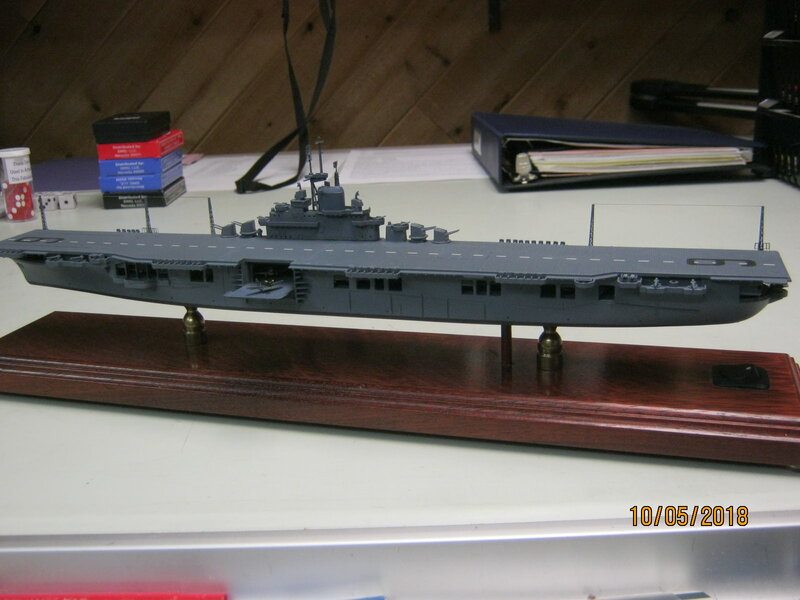 I have this strange addiction to 1/700 aircraft carriers. Over the past year and a half, I have built three of them and now am about to embark on my fourth. 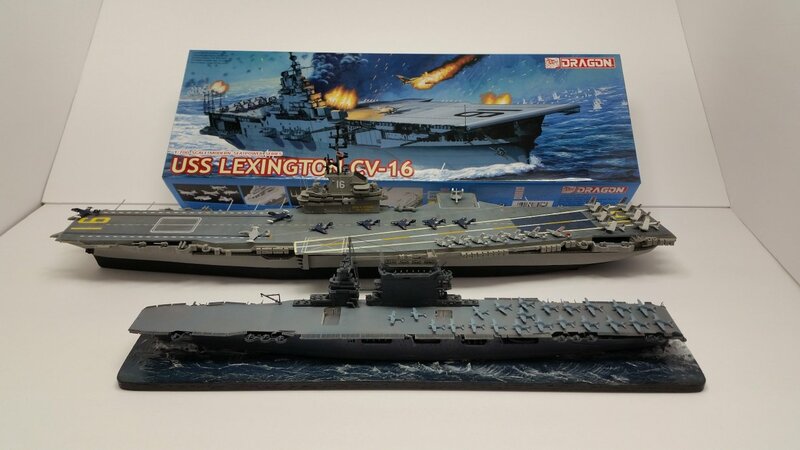 My father served on the Lexington from 1955 thru 1957, so I have built it a number of times from the old Revell and Renwall kits, and back in 1991, scratchbuilt it in 1/700, but I never built the Lex in its WW2 configuration. I did just complete CV2. 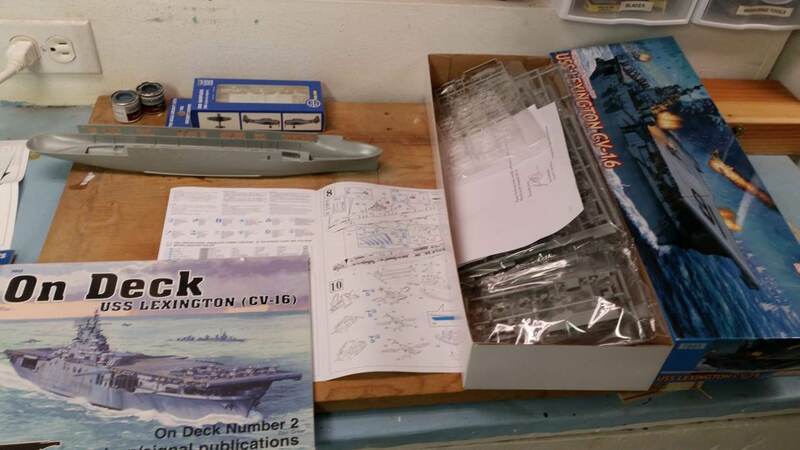 The Lexington was commissioned and put to sea in February 1943, so I signed up to do the Dragon kit in 1/700 for the 1943 Group Build. I had a wonderful experience with the Dragon 1/700 scale Randolph kit when I used it as a base to build the USS Oriskany. So I look forward to enjoying building their Lexington. I hope to round out my collection. The unboxing and planning stage. I did not purchase a PE set since I have aquired quite a collection of WW2 Essex PE parts when I built the Oriskany that I never used, so hopefully I have everything. Taking inventory and started to plan the build process. I will start marking up the instructions at to how I plan to build the assemblies in conjuction with painting. 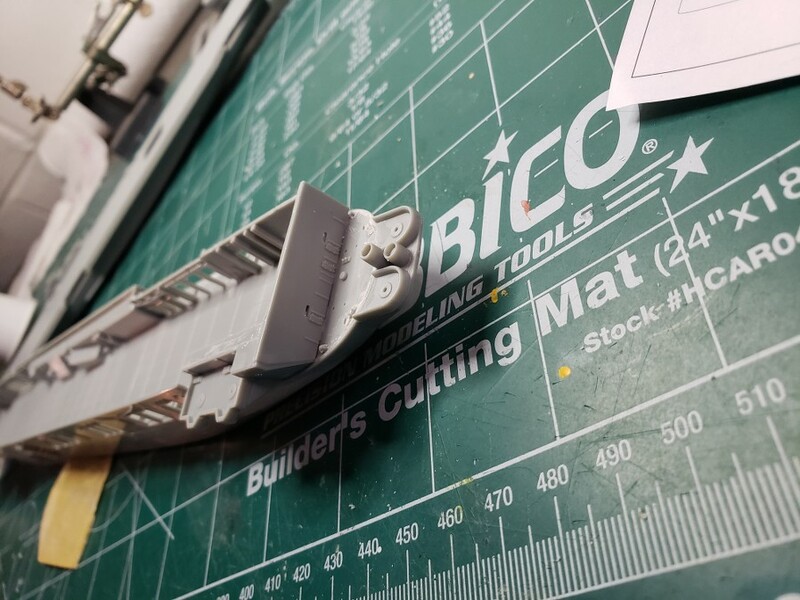 And as of today, doing trims and pre-fits and deciding how to go about the sub-assembly of the hull and when to paint. Having not built a carrier since I was a boy, I look forward to following this and thank you for including us. Its going to be a slow start and build. 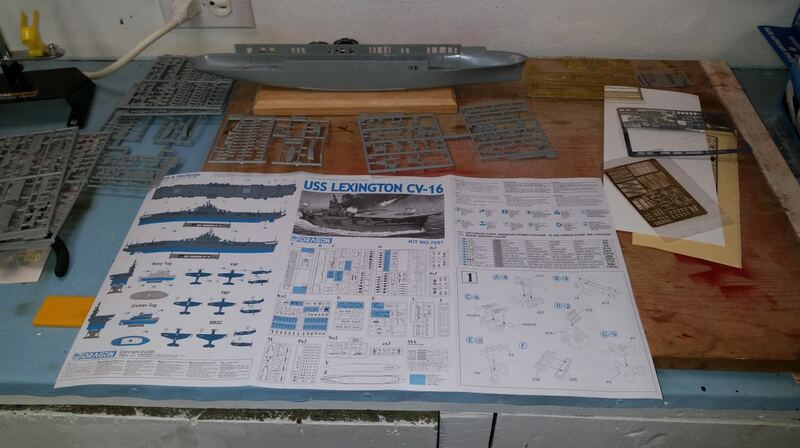 I got some other commitments this month that are keeping me from working on the Lexington. I did get a little done last night. Thats very cool. It wasn't so long ago that a pre-SCB125 Essex was just not available, at least not more than 25 years ago. 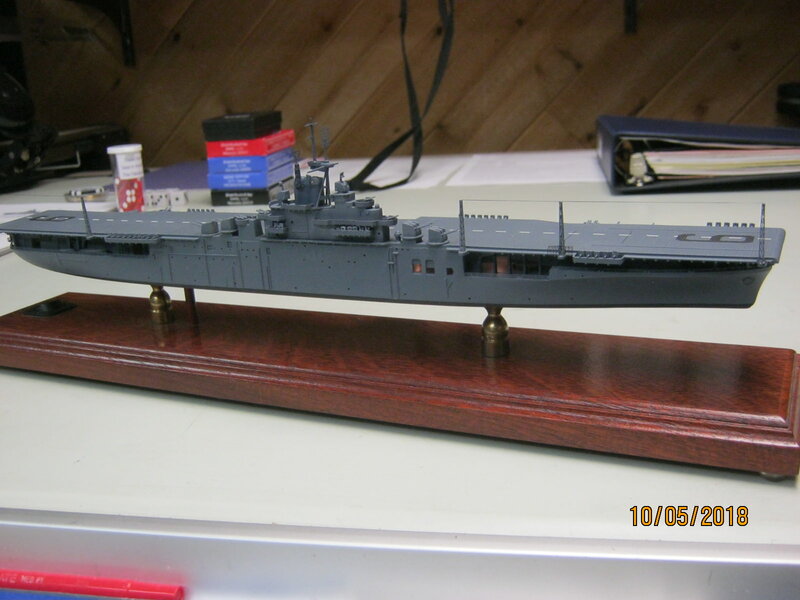 The 1/700 Hasagawa Essex was about it for anything scale. Revell and Lindberg versions of WW2 Essex carriers were great to slap together on a Saturday afternoon when you couldn't go outside and play. The Dragon kit is a really well engineered and molded kit. Scratchbuilt hangar deck, reworked stern gun and director tubs, Lighted the hangar deck, cut out many of the roller curtain doors (thats how I remember them most of the time), and a few other details. 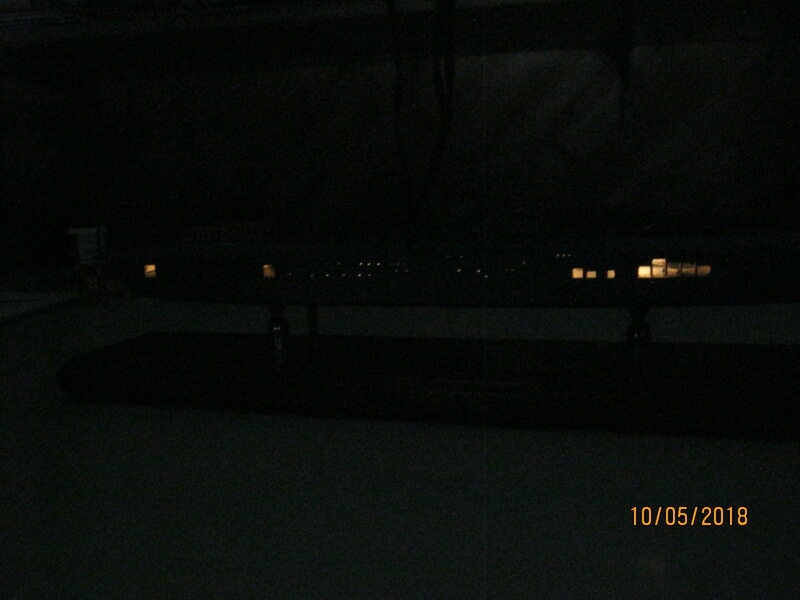 The picks of it with the HB lights on don't show up well in a lighted room, nor do they do so well with the room lights off. Oh well. I have the same project on my bench, too. Well, it's moved really more to the Shelf of Doom. I've got the hangar deck roughed in, and I have frozen at the step of redoing the stern. I'm finishing her as the Essex, recovering aircraft on her very first deployment. The kit aircraft will go in the hangar, and Trumpeter replacements on the flight deck. You're off to a good start, Scott. That kit looks sweet! It looks like it's engineered to let you show some good hangar detail as well as external detail. I know what you mean. 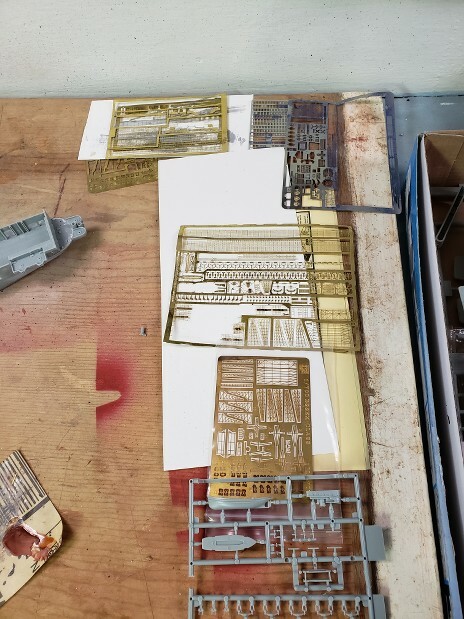 I am working towards building our first nine carriers in 1/700. When Aoshima brought out its Wasp kit a couple of years ago, it fulfilled a wish of many years. Now if someone would bring out the Ranger in 1/700 injection-molded plastic, I'd be all set. 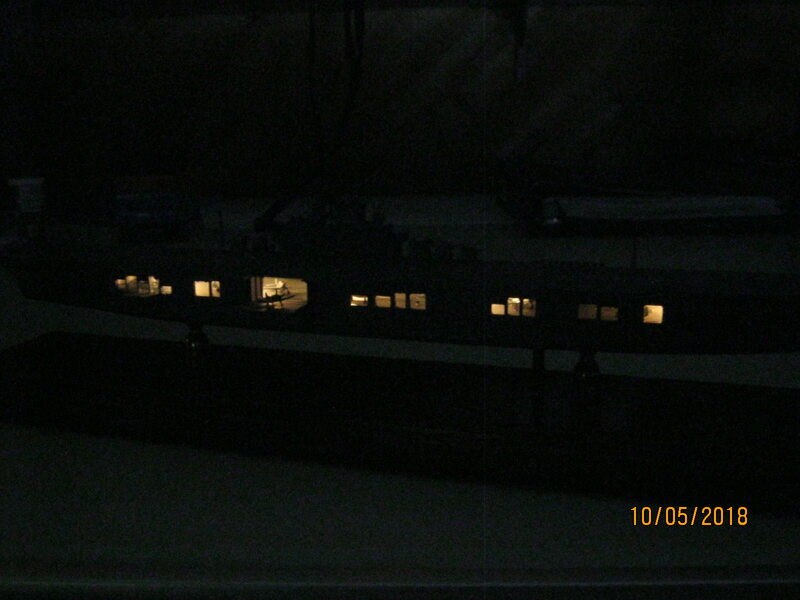 I don't want to hijack this thread - PM me your e-mail address if you wish and I'll dig up some photos of the stern conversion and a few other bits I did. I am Subscribed to this build and you're added to my Favorites! I've got Dragon's Lexington and I am overjoyed that I'll have a WIP to WATCH! P.S. 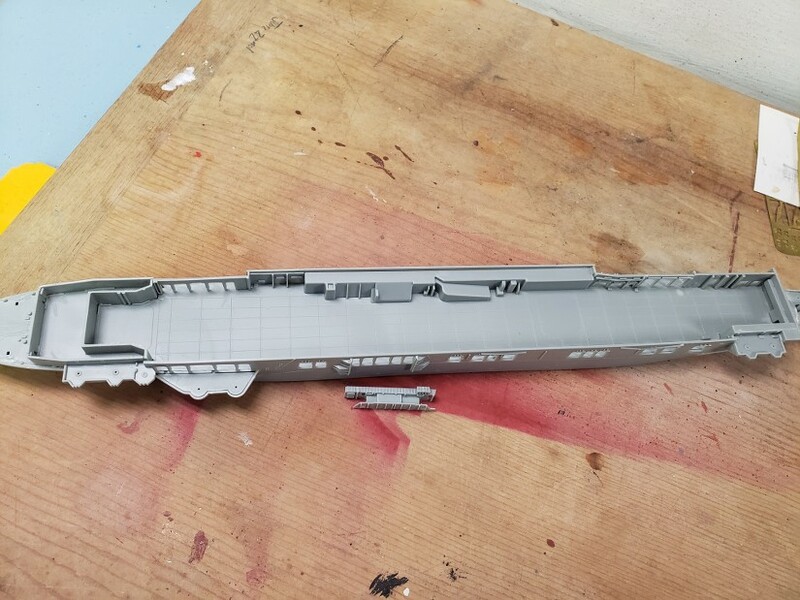 I like Dragons armament sprues for the Essex class kits. PE and Resin are always an option but the L sprue has pretty good 5 inch twin mounts. You done wonders to that old kit. It really like it. Thanks guys for the input. For the moment I will be taking a short break from the Lex build to concentrate on the Warspite I am working on for the British Ships GB. I want to get it done before November 11th and the 100th aniversary of WW1. I thought I'd show that the Dragon kit has a complete hanger deck. I have a number of PE sets I have collected from other projects to detail this kit with. Thanks. It was a fun build. 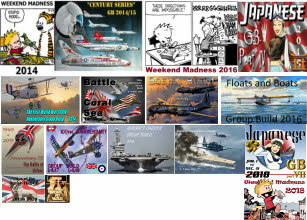 Being an old USS ESSEX CVS-9 crewman, serving on "The Oldest and The Boldest", I love those ships. I've done the Hasegawa, Dragon and Trumpeter ESSEX in 1/700, and the Trumpy in 1/350. 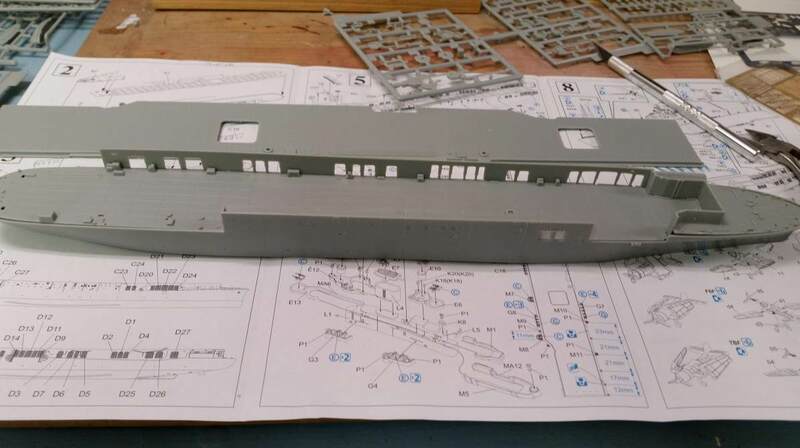 Working on a vintage Revell 1/540 angle deck ESSEX with major changes and improvements to it. That was MY ship, and I want to do that one RIGHT. Did a Trumpy Yorktown in 1/700 also. Keep up the good work. I'll be following with intrest. Those ships of the ESSEX class were great looking in my opinion, not to mention the historical significance.